We are celebrating World Waffle Day! Waffles are such a popular worldwide phenomenon that they merit two days on the calendar to celebrate it! Whichever day is picked to honour it, waffles is certainly deserving of celebration. Rian and the Scenic Drive team decided to celebrate the day by eating some of the most delicious waffles we could get. 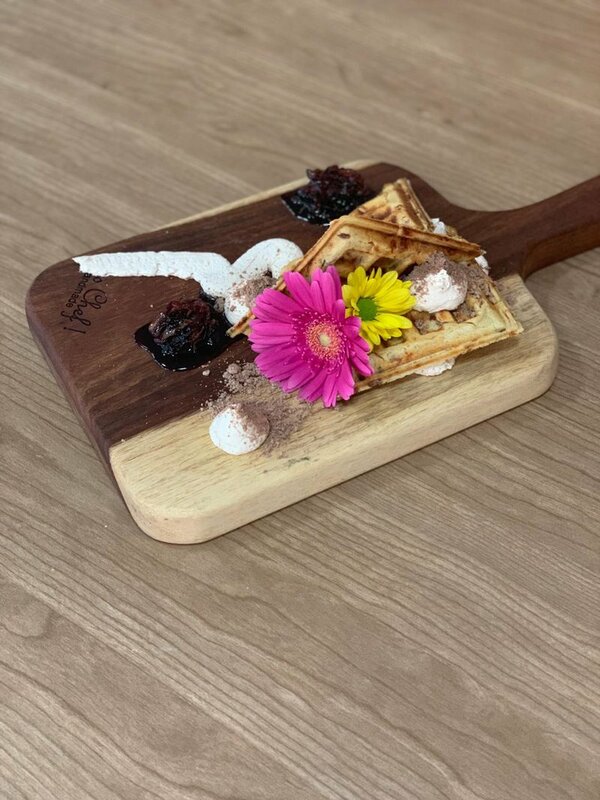 Chef Charné & Chef Lungile prepared the following waffles for us: Lungile-Caramelised onion & Sundried tomato waffle & Olive Ice Cream. 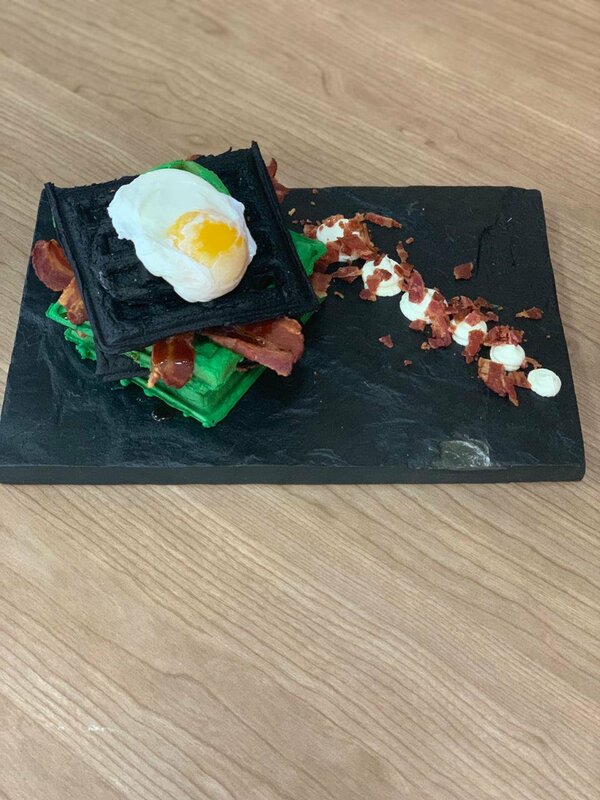 They also prepared an Activated Charcoal & Matcha waffle.